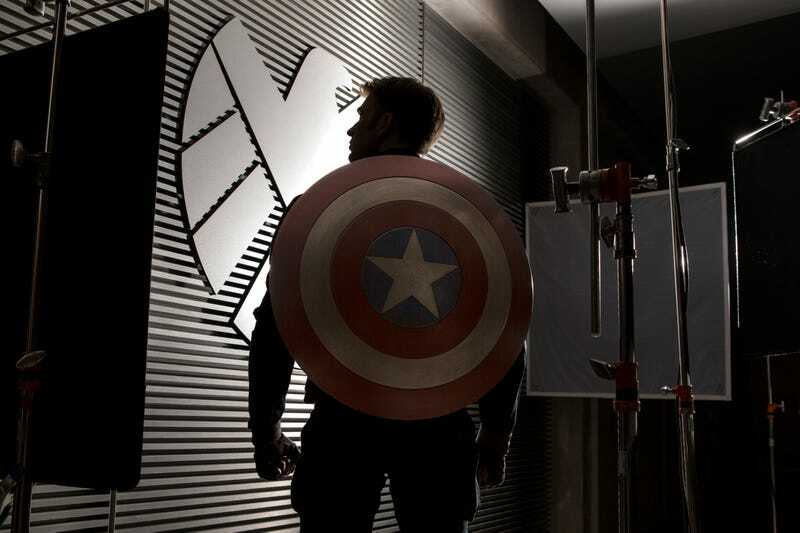 Marvel has just revealed the very first official image for the Captain America sequel. Cue Chris Evans' earnest face! Captain America: The Winter Soldier will pick-up where Marvel’s The Avengers left off, as Steve Rogers (Chris Evans) struggles to embrace his role in the modern world and teams up with Natasha Romanoff (Scarlett Johansson), aka Black Widow, to battle a powerful yet shadowy enemy in present-day Washington, D.C. So it sounds like Black Wids is getting a lot more screen time, which makes us happy as we would love to see her relationship with Hawkeye expanded greatly. Many moons ago Evans revealed to Danger that Captain America: The Winter Soldier could be more of a political thriller. I think they're going to try and push it in the direction of a political thriller. It picks up where we leave off with The Avengers. And Captain Rogers goes back to working for S.H.I.E.L.D. That's all he knows. He understands the military, he understands serving his country, so he goes back to serving his country with S.H.I.E.L.D. But we've got some good new characters in there. I probably can't tell you too much more or I'll get in trouble.